Nice story Ethan,I liked the part when the the children pushed bus driver out the window . Great story very funny keep it up. I like the part when you’re description of the bus driver was funny. Brilliant story Ethan and keep up the fantastic work. That bus driver sounds like a nightmare alright Ethan – but maybe it was a bit harsh pushing him into the alligator! And anyway, who’s going to drive everyone home from the tour now?!!! 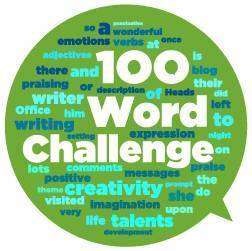 Good work and well done on writing your first 100 Word Challenge story! Next Next post: Week 2 The Teacher with no bum!! !